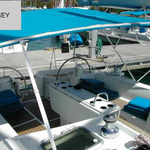 Claudia is a name of vessel Sun Odyssey 52.2 ,which was produced in 2004. 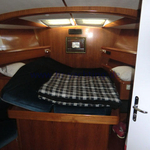 You can rent this sailboat from port Salerno in the region: Latium And Campania. 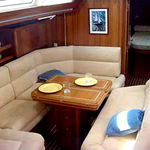 Claudia is furnished with 12 beds. 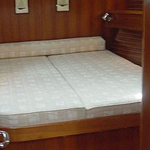 Sleeping places on the vessel are configured in 12 (8+2+2) layout. 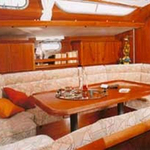 5 cabins are situated inside the yacht Claudia. 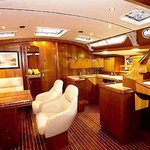 Analyze other vessels in this section: Yacht charter Latium And Campania. Crew members can feel good on this boat , because there are 5 WC with showers for their disposal. With 380.00 l liters in tank for fuel you can sail really far and still be independent because of 950.00 l l. in tank for water. Claudia is powered by engine 80 h.p. Vessel's dimensions are: lenght - 15.39 m , width - 4.85 meters and 2.30 m of draft. 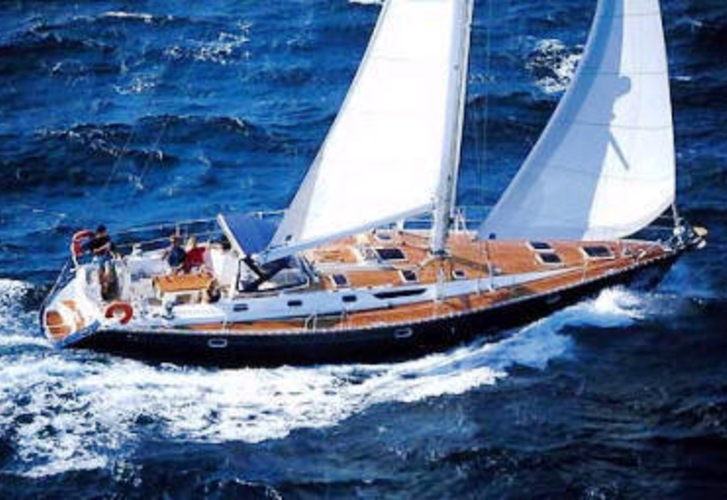 On the yacht you can make use of following equipment: Inverter 12v-220v, Autopilot, Bimini top, Radio / cd player, Anchor electric windlass, Gps plotter, Classic mainsail, Air conditioning, Bow thruster, Electric hallyard winch, generator. . Deposit is 3500.00 EUR. 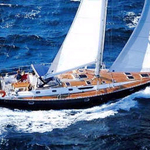 In our search engine you can easily check avalailability of sailing boat Claudia from Salerno in this site: Yacht charter Italy.